Dermatologic Delivery Systems Book from C.H.I.P.S. This state-of-the-art reference provides essential quantitative information on the interaction of topically applied lipids with skin barrier lipids�focusing on new biophysical and analytical methods that can assess lipid status and the improvement of skin condition. 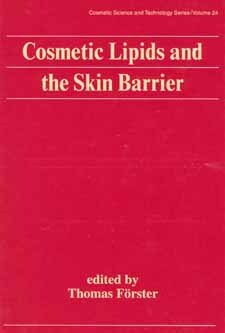 Containing contributions from internationally recognized specialists and over 1000 references, drawings, photographs, and tables, Cosmetic Lipids and the Skin Barrier is an up-to-date resource for cosmetic scientists and technologists; dermatologists; skin biologists; physical, surface, colloid, analytical, and formulation chemists and biochemists; regulatory personnel; and upper-level undergraduate and graduate students in these disciplines.